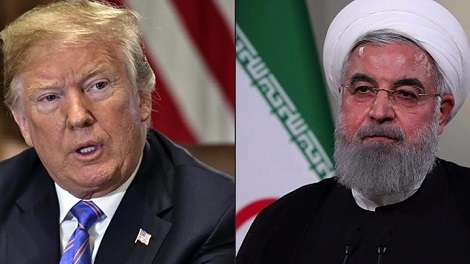 Iran's President Hassan Rouhani has hit out at the United States over its reinstatement of economic sanctions. He described the measures, which came into effect overnight, as "psychological warfare" which aimed to "sow division among Iranians". The sanctions take aim at various sectors, with further punitive action planned against Iran's oil trade. The European Union has spoken out against the measures, vowing to protect firms doing "legitimate business". Mr Trump says the deal is "one-sided" and he believes renewed economic pressure will force Iran to agree to a new deal and end its "malign" activities.